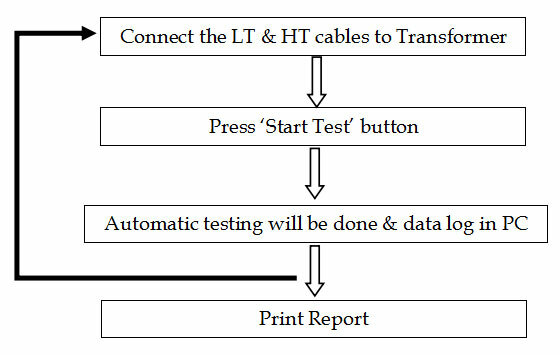 Transformer Auto Test (TAT) - A Systematic way to increase the Efficiency, Productivity of Distribution Transformer Testing Department. 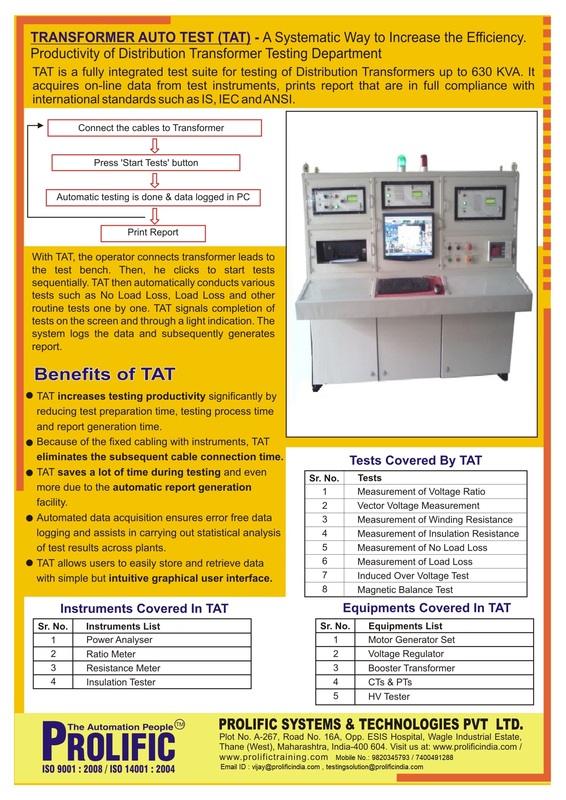 TAT is a fully integrated automated test bench for testing of Distribution Transformers up to 630 KVA. TAT is used for automatic testing of a distribution transformer, that acquires on-line data from test instruments, prints reports that are in full compliance with international standards such as IS, IEC, and ANSI. TAT covers all routine tests including the high voltage test. With TAT, the operator connects transformer leads to the test bench. Then, he clicks or presses Push button to start the tests sequentially. 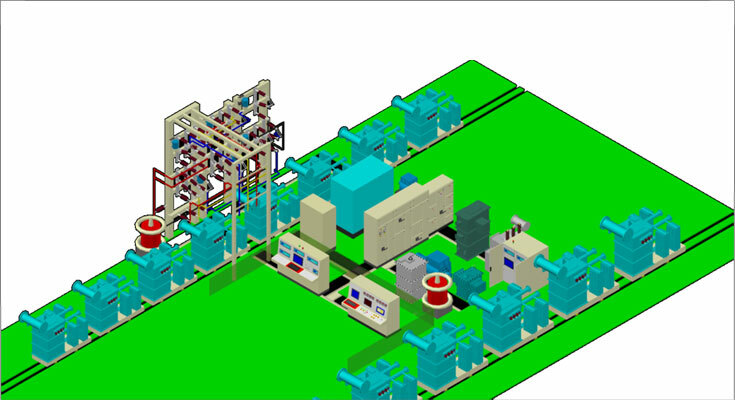 TAT then automatically conducts various tests such as no load loss test, load loss test, and other routine tests one by one. TAT signals completion of the test on the screen or through a light indication. The system then logs the data in the PC and subsequently generates reports.